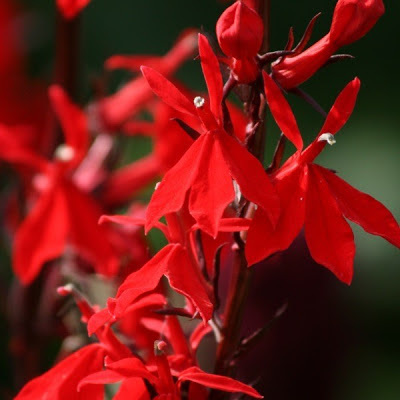 Native to northern United States, Lobelia cardinalis is an erect, clump-forming herbaceous perennial that can reach an overall height of up to 30 inches. It prefers a deep, fertile soil in full sun or partial shade. So copious are it water requirements that it is often grown as a marginal pond plant, though it tends not to thrive in overly, waterlogged conditions. Lobelia cardinalis tends to weaken after a couple of years growth, but it can be revitalised through propagated by division. This method is best performed in March. Be aware though that Lobelia cardinalis is a particular favourite of slugs and snails so make a point of putting adequate protection in place - organic protection of course. Once the plant has died back in late autumn, cover with a heavy mulch to help protect it against the winter cold. Sow lobelia seed from late winter to mid spring on the surface of a good seed compost such as John Innes 'Seed and Cutting' and gently firm down. Place the seed tray in a sealed polythene bag, or a propagator at a temperature of 16-18C (61-64F). Keep the soil damp but not wet. Do not exclude light as this aids germination which will usually take between 14-21 days. When the young lobelia plants are well grown and all risk of frost has passed, they can be acclimatised to outdoor conditions over 7 to 10 days. Transplant outdoors in a sheltered position in sun or semi-shade on reliably moist, fertile soil. 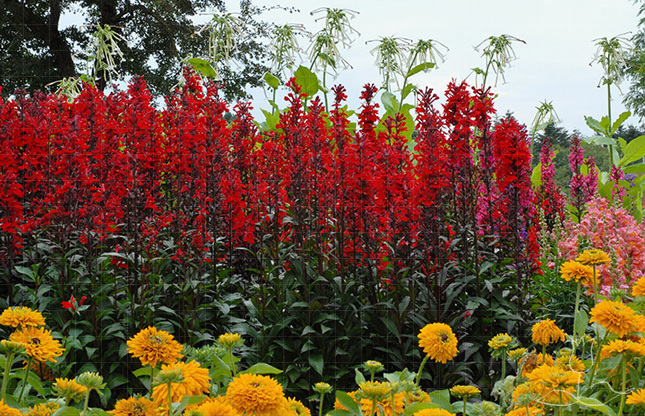 Lobelia cardinalis copes well with boggy soils and can be planted at the edge of ponds and streams. Just not in the pond or stream. 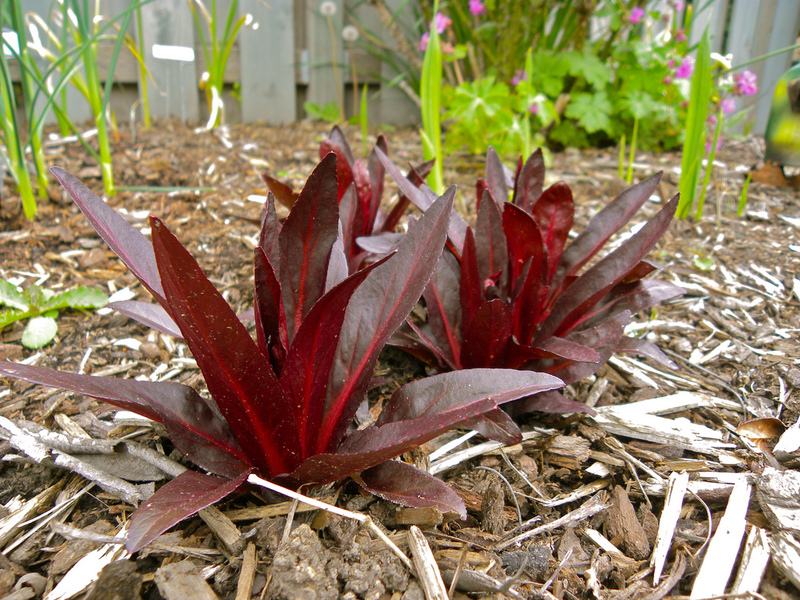 Cut back old lobelia foliage in autumn and apply a dry mulch of bark chips or straw to protect the crown of the plant during winter. Caution: Contact with the white sap may irritate the skin and eyes.